It’s getting to be a bit of a habit: this is hardly the first time Groupe Renault has come away with an award from the International Automobile Festival. 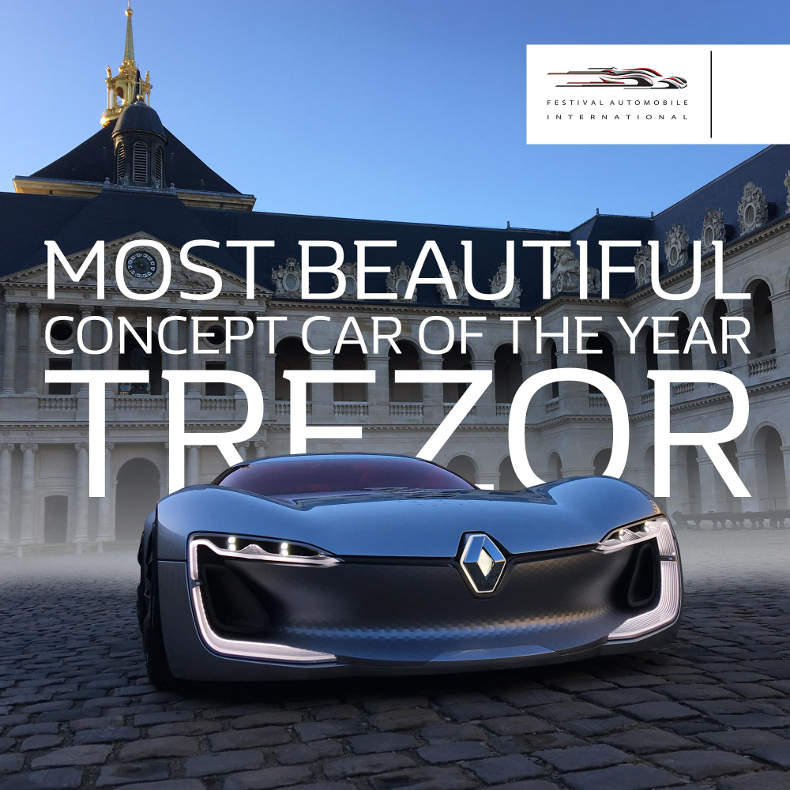 In earning the prize for the Most Beautiful Concept Car of the Year, trailblazing TreZor is rolling in the tyre-steps of Talisman (Most Beautiful Car of the Year and Laurens van den Acker (Designer of the Year). The jury appreciated the car’s “outstanding beauty, irresistible appeal and superlative elegance”, along with great overall coherence and wealth of stylistic details. 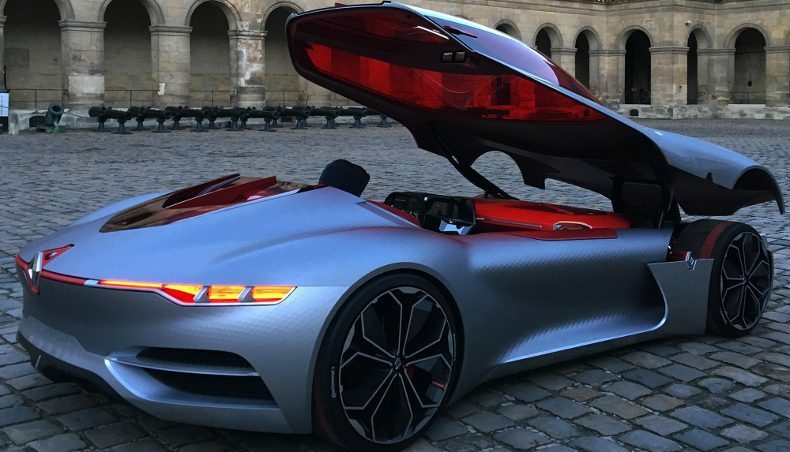 Before winning over the festival jury, Renault TreZor proved a great hit with the Parisian public at the Paris Motor Show in the autumn; the reaction of YouTuber Romain Lanéry (TechNews&Tests) pretty much summed up the impression of visitors to the Renault stand on getting close to this fascinating electric GT concept car. TreZor’s immense appeal owes a lot to its warm, welcoming, uncluttered outline. The distinctive front end features the C-shaped light signature (as on Talisman and Mégane) that customers and other motorists will be already be familiar with. Inside TreZor the emphasis on driving pleasure could hardly be stronger, starting with the large touchscreen (R-Link2), offering a customizable, connected tactile interface, and the use of fine materials such as wood and leather. There’s a good chance the stylistic and technological openings advanced by TreZor, as regards connectivity, sleek styling and all-round refinement, will be carried through in the design of future Renault models. Visitors to the Geneva Motor Show in March might reasonably expect further clues here.